Podunk Pretties: Hi-Ho Hi-Ho, It's off to sew I go! Hi-Ho Hi-Ho, It's off to sew I go! Oh Happy Day! What a beautiful rainy day! Oh yes it's rainy and gloomy and I'm LOVING IT because I'm stitching my little ole heart out today. It's the first day this week I've had all day to just quilt. 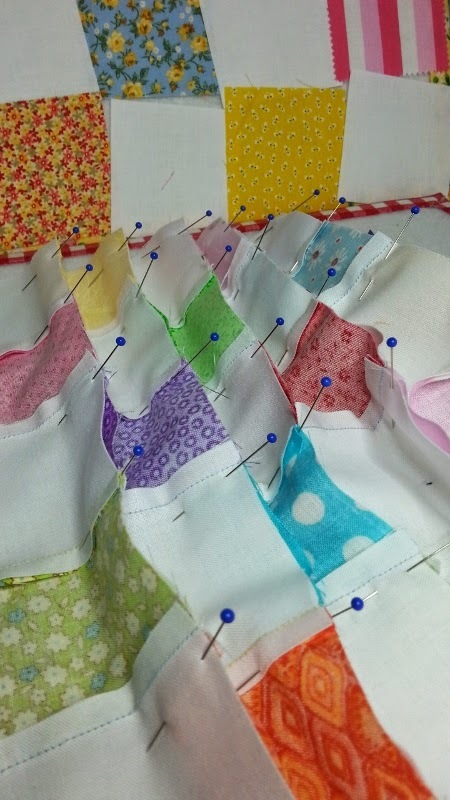 With the warmer weather there's plenty of outside work to be done and little time left for quilting. So today it's just me and my Happy Place. Several of you are still waiting on the butterfly block. It's coming, promise. A little warning...the butterfly itself is 6 inches, framing makes it 12 inches. After the center tutorial a new tutorial will be posted each week until all the options are finished. I've also found another bonus mystery corner block that I'll throw in last. It's from another blog, and with her permission I'll be adding it as a corner option, but first I need to set it on point. The center blocks tutorial will be posted by this Friday. If I can put the pedal to the metal without getting a citation from the quilt police it'll be ready by midnight tonight. So send me some good quilty vibes to keep the quilt police and gremlins away from my studio. However if you know of a free(and preferably handsome) gardener they are welcome at my place anytime! Look at these lovelies made by QuiltnNan over at the Quiltingboard. 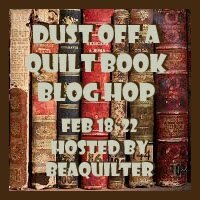 Hop on over and give her a little quilty love. 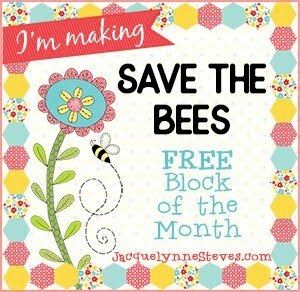 She has some great ideas on adding a little spring time pizzazz to these blocks. Thanks QuiltnNan for sharing your photo's. It's always nice to know that others enjoy my patterns and the instructions make sense to all of you! Bloggers love feedback, negative or positive when it comes to pattern writing. Well gotta run there's lot's to get done before the sun starts shining again. I love this project and all the bright colours. Looking forward to the butterfly blocks. I have too many projects going right now to start another one but boy am I tempted. I love the look of the quilt and the spring colors just warm my winter heart. 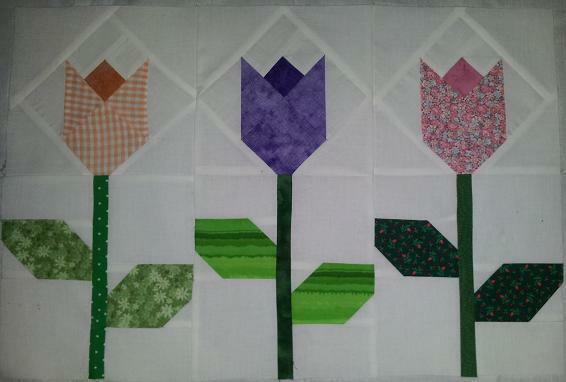 This quilt sure screams Spring!! Something we are ALL ready for... and waiting for! Beautiful. Love them - they are really cute but I like that they are so vibrant!